An exciting new exhibition at Silicon Valley’s first art gallery has been drawing crowds since its launch in early 2016. 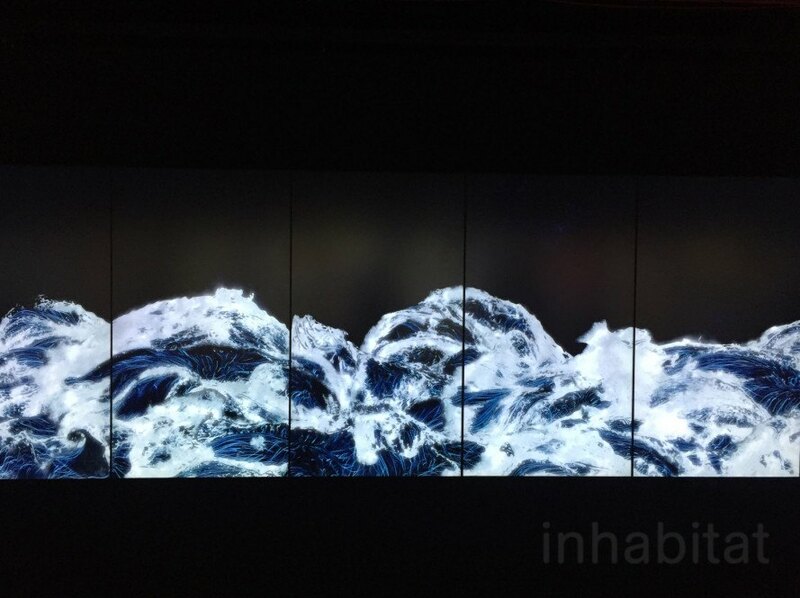 “Living Digital Space and Future Parks,” which the New York Times calls “a very different kind of immersive art installation,” is an exploration of the convergence of art, design, technology, and nature. 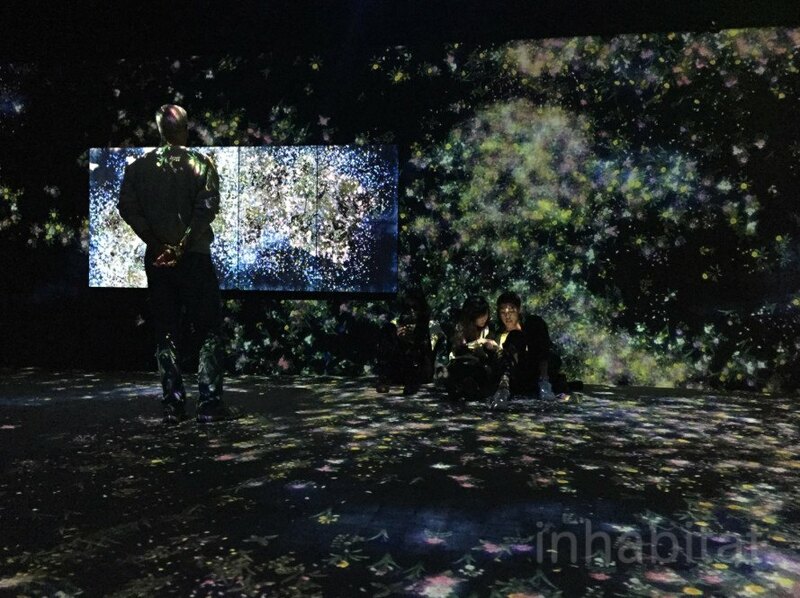 The collaboration between teamLab--a Japanese interdisciplinary collective of self-described “ultra technologists”--and Pace Gallery succeeds in challenging notions of what defines art by taking visitors on an unparalleled, technology-driven journey into the world of bird flight, flowers, waterfalls, and outer space. All of the exhibition’s 20 installations are nature-themed and the most striking of them are those which respond to the presence of visitors, underscoring the delicate balance that exists between humans and nature. One installation, titled “Flowers and People Cannot be Controlled but Live Together – A Whole Year Per Hour,” features infinite flower permutations which are neither pre-recorded animations nor on loop, but the real-time renderings of a computer program responding to human stimuli. Inspired by the abundance of cherry blossoms and rapeseed blossoms at the Kunisaki Peninsula, the work explores the effects of human activity on the natural landscape, but asserts that ultimately, nature cannot be controlled. 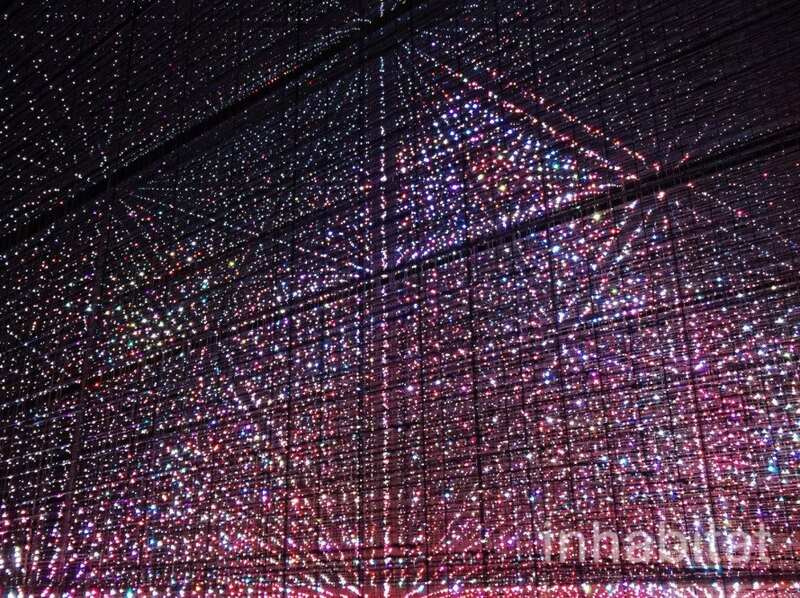 In “Crystal Universe,” another site responsive work, the viewer is immersed in a dazzling display of 50,000 LEDs, which respond to human movement and cues accessible via smartphone. Visitors can choose from a variety of star systems to transform both the sculpture’s color schemes and lighting patters. The experience of being integral to the universe of 50,000 “stars” is not only unexpectedly authentic and moving, but provides unusual and eye-catching photography material. Tickets to teamLab: Living Digital Space and Future Parks are are available until July 1, 2016. "Flower and Corpse Glitch Set of 12"
All of the exhibition’s twenty installations are nature-themed and the most striking of them are those which respond to the presence of visitors, underscoring the delicate balance that exists between humans and nature. In “Crystal Universe,” another site responsive work, the viewer is immersed in a dazzling display of 50,000 LEDs which respond as visitors enter and transverse the sculptural scape. Visitors are encouraged to interact with the sculpture by using their smartphones to select various star systems, which transforms both the sculpture’s color schemes and lighting patters. "Flowers and People Cannot be Controlled but Live Together – A Whole Year Per Hour"
Inspired by the abundance of cherry blossoms and rapeseed blossoms at the Kunisaki Peninsula, the work explores the effects of human activity on the natural landscape, but asserts that ultimately, nature cannot be controlled. Though critics may argue that Living Digital Space and Future Parks is not art in the traditional sense, its installations are nothing short of magical- combining light, video, sound, virtual reality, and incredibly detailed digital sequences to deliver an authentic, emotional experience. The experience of being integral to the universe of 50,000 “stars” is not only unexpectedly authentic and moving, but provides unusual and eye-catching photography material. "Crows are Chased and the Chasing Crows are Destined to be Chased as Well Division in Perspective- Light in Dark"
When humans and art interact - at the first art gallery in Silicon Valley.